We had a successful BBQ at Wots Den 26th of April raising $2392. It was a fun filled day with great food, prizes, raffles and great companionship! More Photo’s are in our Facebook Photo’s. 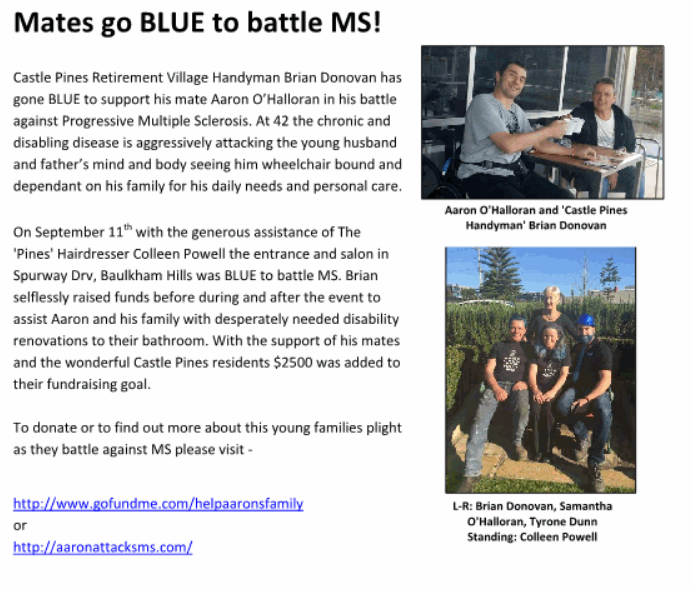 Sam & Aaron and the AAMS team raised $401 with the help of Westpac and their customers. We enjoyed selling special cup cakes and collecting donations for Aaron. Click photo above to see more photos from the day! $7310 was donated from The Wots Den 3rd Annual Show & Shine Registration, BBQ & Raffles! Thanks to Benny, Cathy & their family for supporting us with this event!